Typically people think they need an accountant between January and April 15th. But when there is a dispute that involves financial information, Accountants are the ones that can understand the financial issues at stake. From dividing up income after a divorce, to transitioning a business to the next generation, ensuring that you understand the tax impact of your decisions is crucial. Often in these disputes one needs the advice of an Attorney. 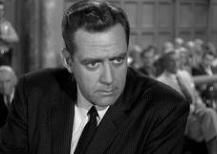 Often, when one hears the word “Attorney” one immediately thinks of Courtroom dramas and “Perry Mason”. Most Attorneys spend the bulk of their time outside of the Courtroom ensuring that you never have a need for visiting one. If you currently do not have an Attorney and are concerned about dividing assets, making business decisions, thinking about Estate planning or any other issues that need someone to help you with both legal issues and numbers, let us know. We regularly work with many Attorneys throughout California and can provide you with several recommendations and referrals. Having a good team in your corner helping you to plan for your future is key to helping you get ahead in your business and help you hold onto your assets.